Discussion in 'Dungeons & Events' started by Zodiac, Nov 23, 2018. 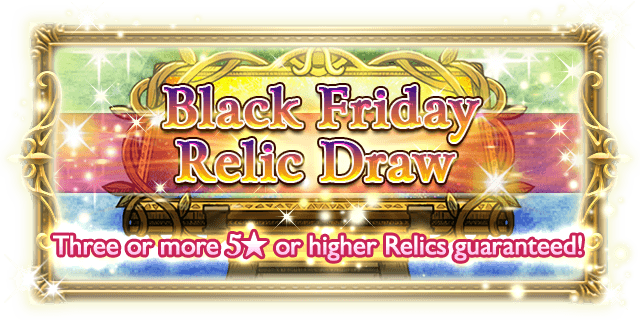 This is the once-only x11 relic draw, whereby you are guaranteed to receive three or more Relics that are 5* or higher. Meathook33, Lounas, Deuce and 2 others like this. sunshine and Tricky1 like this. 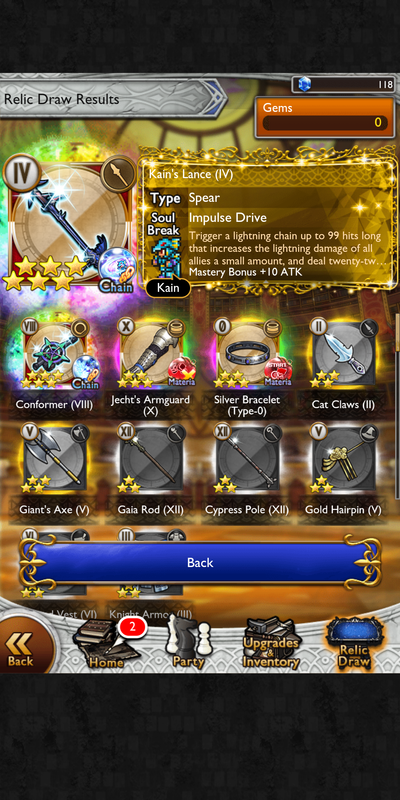 Only thing that bugs me is...this is my THIRD lightning chain! Tricky1, Luxord, Lounas and 1 other person like this. I have never skipped a one-time draw so..
Tricky1, Luxord and Deuce like this. <= fell for the trap. dupe/11. I find this concept funny. "Hey, are you sick of 1/11 LMR draws all the time? Here we will give you a draw that has the minimum results that every pull should have. But we'll make it full price and not guarantee a 6* relic, we kinda have to, it's only fair." 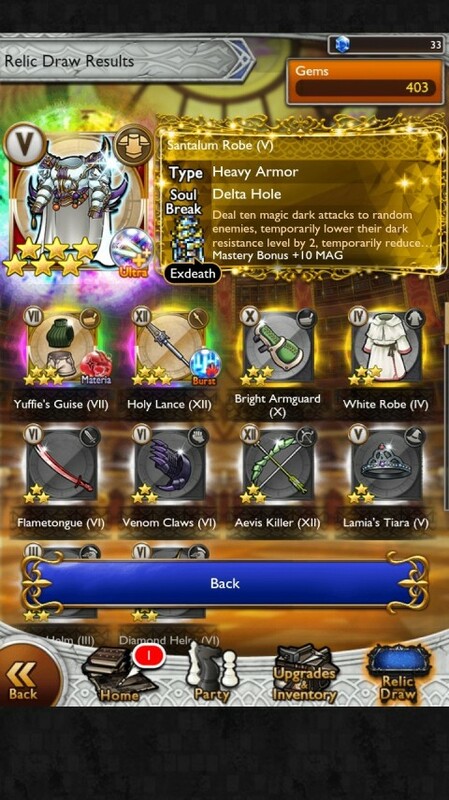 This, plus the "surprise draw for a chance of mythril for 3 days" which I hate more than anything in this game, whoever came up with that idea needs to be fired! Lounas and Tricky1 like this. 3 lmr/11. Can anyone get lower than this? Tricky1 and Deuce like this.